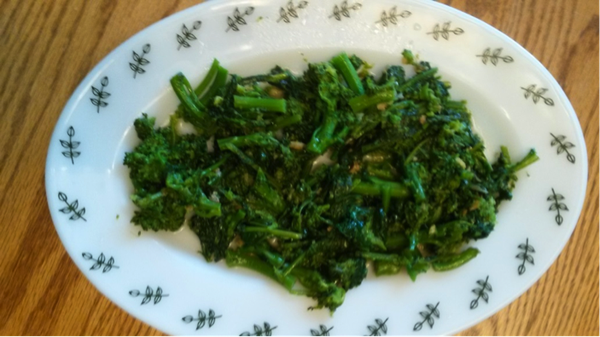 In a medium sauce pan over medium heat add ¼ cup water and add the Broccolini. Bring to a simmer for 3 minutes. Drain well. In a separate skillet add the olive oil and garlic over medium heat. Sauté the garlic for 30 seconds. Be careful not to burn the garlic. Add the Broccolini into the skillet and toss with the garlic and oil. Serve immediately.